Rainbow Aura Quartz, also called Angel Aura Quartz or Opal Aura Quartz, cleanses the aura and can facilitate deeper and higher levels of meditation. A peaceful and tranquil stone, Rainbow Aura Quartz is useful for communication with Angels, Spirit Guides, and other Teachers. Having such a fine vibration, Rainbow Aura Crystals also allow the user to clear away negativity that has previously been resistant, and helps to gently raise energy levels in those who are feeling depleted. Rainbow Aura can help to release negative emotions such as resentment or grief. Rainbow Aura is a perfect piece to use when facing a dysfunctional type of relationship, bringing a deeper insight into the relationship and the holder's part in it. Meditating with Rainbow Aura Quartz can be beneficial for those who are going through stressful or otherwise negative situations. Rainbow Aura is wonderful for meditation, gridding, and healing work. Carrying or wearing Rainbow Aura will help when encountering negative or stressful situations, removing that energy and replacing it with loving, positive vibrations. 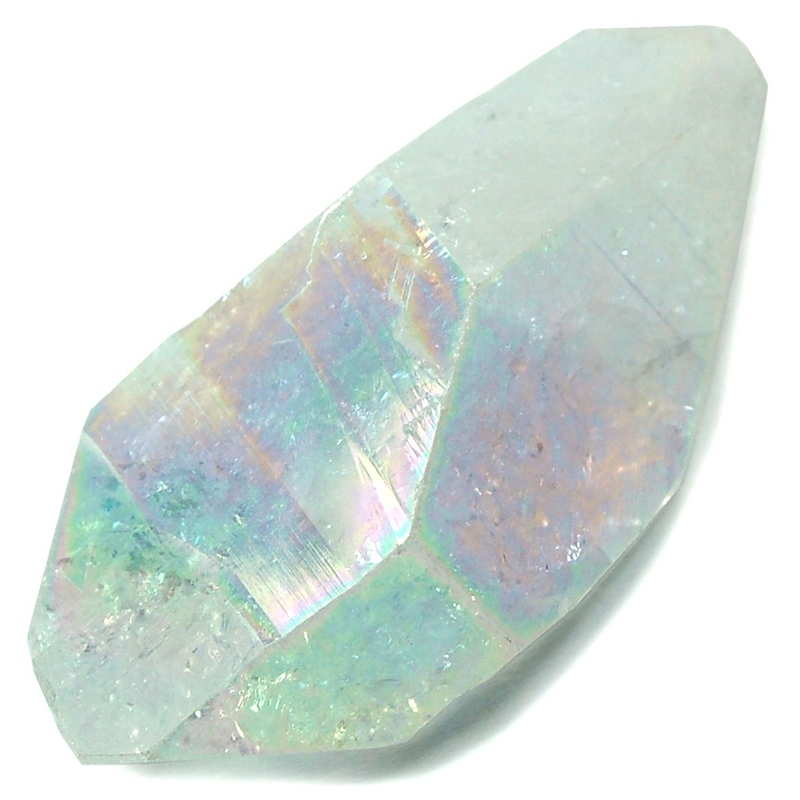 Use Rainbow Aura to enhance the healing properties of other crystals. Rainbow Aura is created when Clear Quartz crystals are super-heated in a vacuum and infused with vaporized Silver & Platinum. These precious metals condense onto the surface of the quartz crystal to form a permanent bond with the lattice of the quartz. By combining the vibrations of Quartz with Silver and Platinum, a synthesis of unique vibrations is created. Click Here to see Rainbow Aura in our online catalog. Affirmation: I release that which no longer serves me and I am healed.